The acronym ESD stands for Electro Static Discharge. Many electronic products are vulnerable to damage from static electricity, so ESD brushes are made using materials that dissipate static energy and avoid producing static electricity while brushing. ESD Brushes The acronym ESD stands for Electro Static Discharge. Many electronic products are vulnerable to damage from static electricity, so ESD brushes are made using materials that dissipate static energy and avoid producing static electricity while brushing. A static charge is created when two materials move against each other and cause friction. The friction generates a small electric charge, and this phenomenon is known as the Triboelectric Effect. 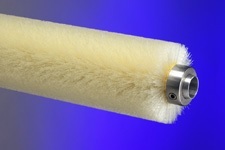 In some ESD brushes, a material is used to inhibit this charge. These types of brushes are referred to as "anti-static". ESD Brushes – The Industrial Brush Company, Inc.
Materials that can inhibit a static charge are wood, hog bristle, horse hair and goat hair. These can be used as long as the brush is used in a liquid environment. If the brush is being used in an application with a dry environment, materials that conduct or dissipate the ESD should be used since the anti-static materials are highly flammable and could catch fire due to friction. A dissipative ESD brush essentially controls the flow of the electrical current to transfer it away from the part being cleaned to the ground. 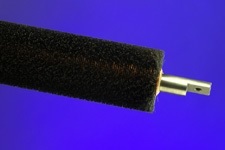 A conductive brush has a very low resistance to electricity, allowing it to rapidly accept any an electrical current generated through friction and quickly transfer that energy to a grounding point. Another type of ESD brush, an insulative brush, is made from materials that prevent the flow of electrons, meaning any charge transferred to the brush during use will remain there for some time. 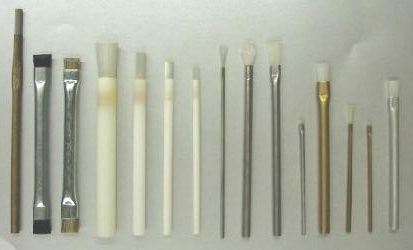 Applications for ESD brushes include: solder removal, dusting, board prep, lead trimming, edge connector cleaning and static dissipation. Most of these brushes are very small because they are used to clean or treat very small surface areas. They are typically just operated by hand using a back and forth or side to side motion. To stiffen the brush, shorter trim lengths are used. In the same way, longer trim lengths are used to make the brush more flexible.